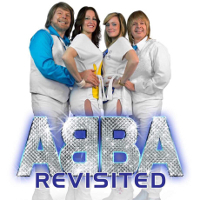 ABBA REVISITED takes you back to the disco era and one of the best pop bands in history, ABBA. The show features incredible musicians and singers; four who look and sound like Anni-Frid, Bjorn, Benny and Agnetha. Everyone, young and old, will love this show. Hear 21 of ABBA’s hits, with all the costume changes, choreography, a live band, back-up singers and big studio sound.